This week on Moon Pope Monday we do away with the amusing and present something amazing! 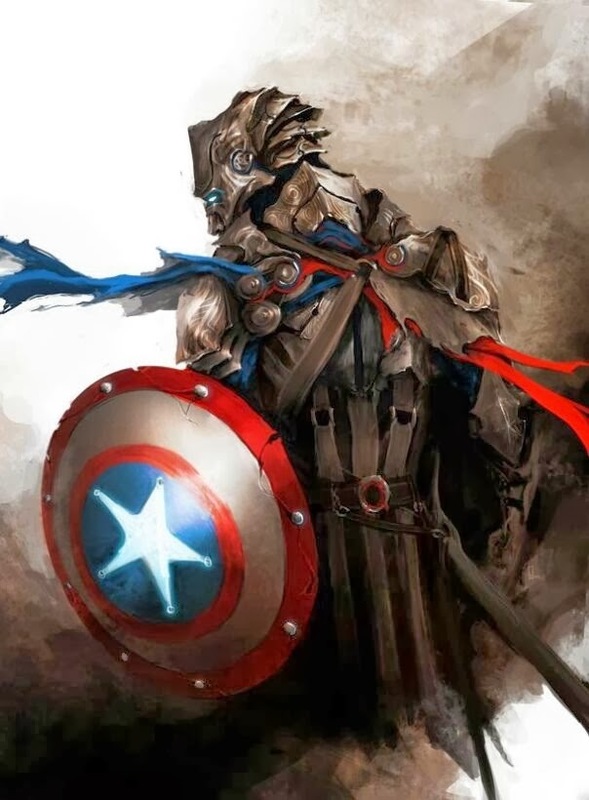 The Avengers are assembled, but their looks have been tweaked for a fantasy setting. If you've ever wondered what the team would look like wrecking medieval mayhem, well wonder no longer! Also, for those who are curious, Pathfinder builds for every character (excluding Nick Fury... for now) may be found here. Lastly, for more updates, follow us on Facebook or on Tumblr; the latter is where I found this series, but the originals may be found at Deviant Art here by the Durrrrian. Any gamer who's seen the Dungeons and Dragons cartoon show, or who's read books like the Magic Kingdom of Landover series has wondered what it would be like to step out of their normal, everyday lives and into a true adventure. We wonder whether we would be able to master swordplay well enough to fight for a nation's freedom, or if we'd be able to match wits with centuries-old vampires and come out ahead. For players who want to take the fantasy one step further, an avatar game is the next step. No, you don't get this till level 20. An avatar is a manifestation of a Hindu deity, whether in human or animal form. 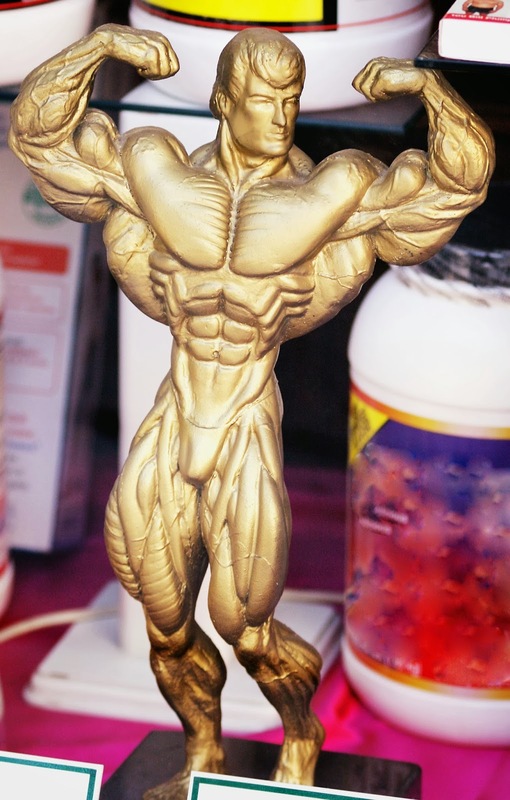 The term is also used to discuss an archetype, or someone who represents an idea in physical form. In our case the term is used to describe a character who is as close to the player as the game rules allow. When an entire party is formed this way, the result is an avatar game. Avatar games are not like any other games. Players aren't creating a concept; they're re-creating themselves. We all like to think that we're stronger, smarter, more dexterous or more charming than we actually are, though, which can lead to problems if you let people choose their own stats. I should totally have an 18 strength guys. Guys? What's so funny? Because of this unfortunate tendency we have, it's important to come up with some method of character creation that takes as much creative control out of the individual player's hands as possible. One option is to design a test that all players take which provides them with basic stats and a class (if you're playing a game that uses a class, that is). There are dozens of these online, and I'm sure you've all seen them. On the other hand, if all the players have known each other for a long time it's often fun to have the players rate each other with the skills, attributes, and classes they think an individual should have. The storyteller can then average the other players' thoughts together, providing a finalized sheet. It's important to mention that an avatar game should be accurate, but it should also be fun. If a player is really disappointed by what the measuring stick says he or she should play, then work together to find alternatives. 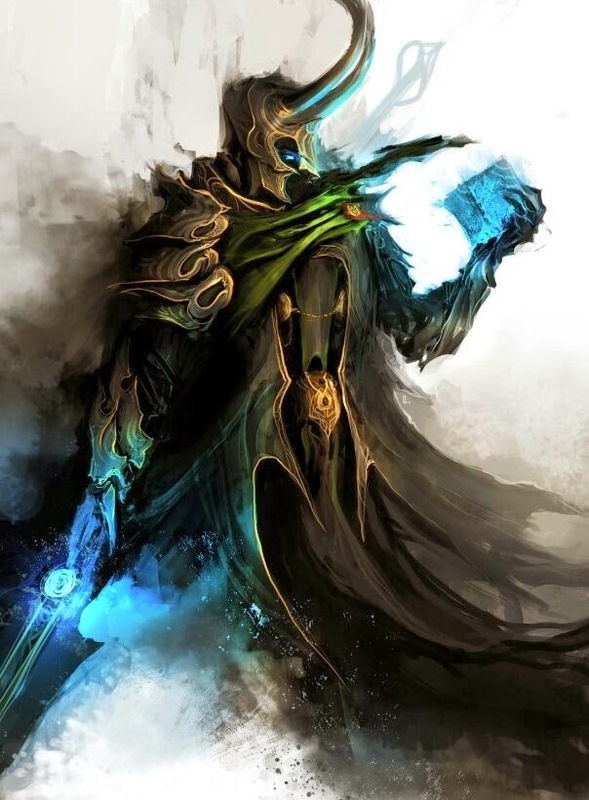 Maybe the consensus is that an individual should be a rogue, but that person feels in a world of magic that he would throw himself into the study of the arcane to become a wizard. Listen to your players, but at the same time don't just give them everything they want. If the player with the graduate degree and an aversion to the gym really wants to be a master swordsman though, provide him the opportunity to pursue that kind of training as the story goes along. Once characters are made, the DM needs to come up with some way to make these very normal players enter a very unusual situation. For some games this is exceedingly easy; for others, not so much. "And, lo, four shall come on the full moon and speak these words," Huh... weird. The further removed the game world is from the reality players live in, the more difficult a believable hook is going to be. For instance, if players are in a World of Darkness Mortals game, or even a Call of Cthulhu game, all the storyteller has to do is leave clues to the dark creatures lurking just behind the scenes. Maybe a local reporter hears about a rash of murders that track back to a vampire, or a police officer notices a pattern in animal attack reports that lead to a squamous being from the outer planes. These characters are just human, and the hook is that they've been living in the game world this whole time without any knowledge of it. Until now. 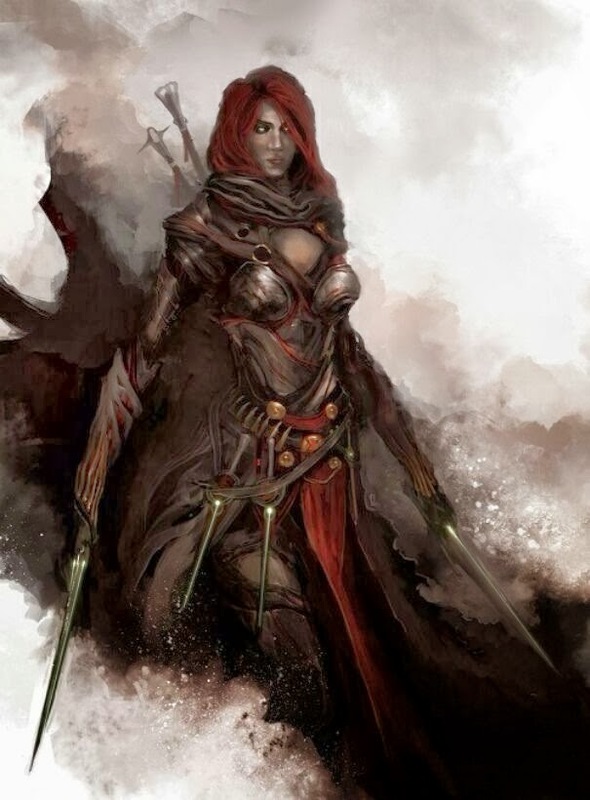 High fantasy avatar games, like those running on Pathfinder or Dungeons and Dragons, take a bit more work. 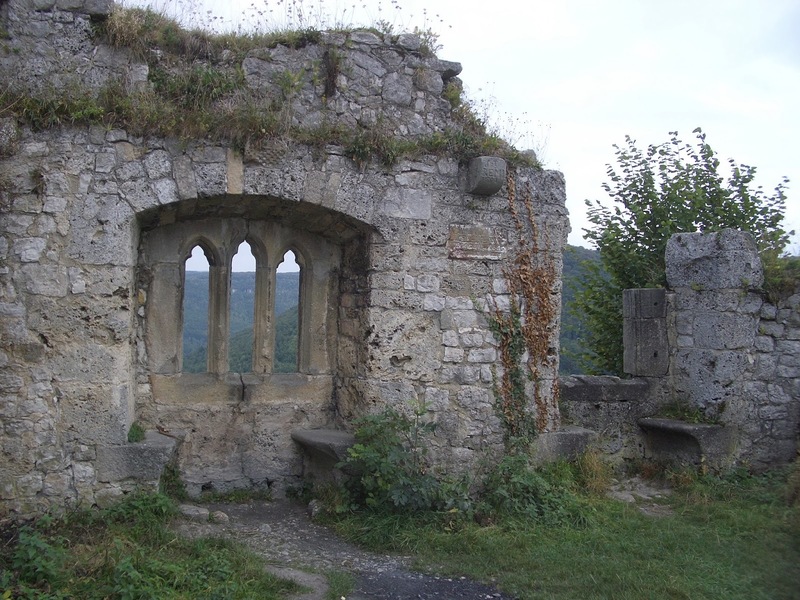 Maybe players decide to visit some local ruins to check out a spook story, and end up accidentally stepping between worlds. Maybe they're victims of an anomaly that tears open different planes of existence caused by a reactor explosion, or a large Hadron collider experiment. 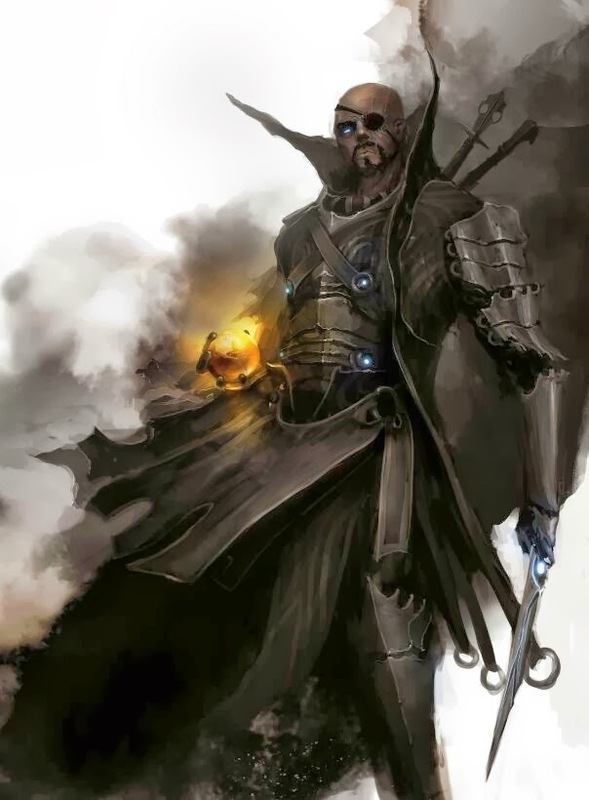 Or, my personal favorite, a wizard mis-spoke a spell, and instead of pulling in a demon lord or a celestial host, what he ends up with is a party of 4 or 5 very confused geeks who were all in the middle of one activity or another who now have to figure out where they are and what the hell just happened. The biggest challenge a storyteller has is, once the party has been assembled and the hook jerked, how realistic is the world around the players? For instance, if they're now in Golarion, does anyone speak English? 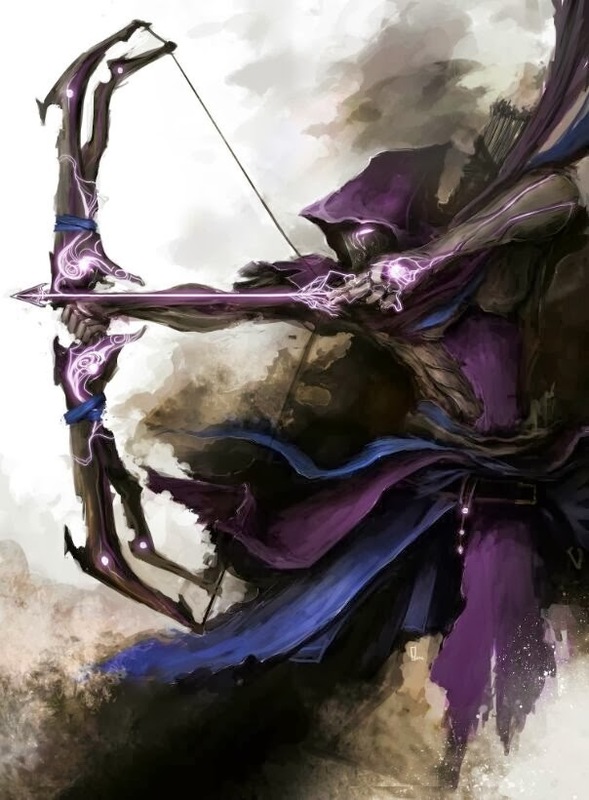 Do the players take up a trade or some kind of apprenticeship to incorporate themselves into the fabric of a community before becoming adventurers? If players discover a group of cultists in the local goth scene, are they the kind of people who will call the police and the media, or are the players in fact the sort who would go in fists swinging? Building a realistic world is key for getting players to, well, be themselves. While there's going to be an unavoidable bit of "OMG, I want to start playing super-powered me already!" it can be cut short with solid world-building and the right atmosphere. Don't nit-pick every little thing, but don't just look at them and say "And you're in Ravenloft! Okay, what do you do now?" Avatar games can be a lot of fun; they're also very easy to mess up. As such there are a few things that the person running this whole mess needs to keep in mind. You expect me to believe what now? One of the best ways to make players really keep their heads in the game is for storytellers to paint a scene. I covered this here on the Literary Mercenary, and here on this very blog, but it cannot be repeated enough. Don't tell players what monsters they're fighting, what world they're in, or even what country they're seeing. Make players, and their avatar characters, dope it out. This keeps the players involved, and it keeps them on their toes. Out of character talking and idea sharing is sometimes all right, but it will kill the mood and destroy the tension you need in order to really sell the world players have entered. This is not the hero you're looking for. We know, because we're playing the game, that the party is going to be the focus of the plot eventually. 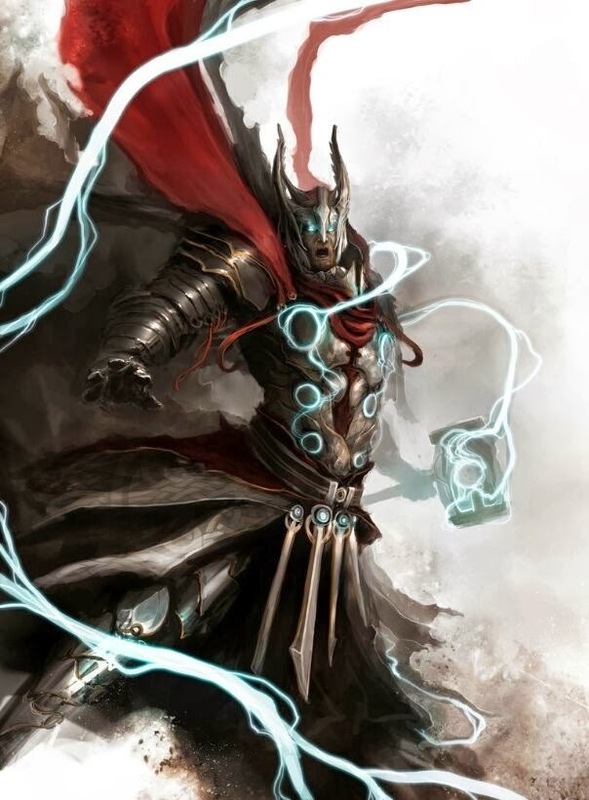 However, even in a game like Scion where players are the half-breed children of gods, no one starts at the top. So, if a storyteller feels that the "chosen ones" card must be played, it's going to strain credibility. Who are you, after all, but a bunch of nobodies. Just because you managed to find a changeling freehold, or you accidentally wound up stumbling into the Forgotten Realms, that doesn't make you special. Especially not if the threat in question requires characters of exceptional power to take on. Where the hell did I put that thing...? We all know this player. He's the guy who decides to take the left hand path for no apparent reason, or the girl who decides she'd rather stay at the tavern and drink than go ogre-slaying. These are the players who say "no" to plot, and who will do their level best to avoid whatever needs-to-happen stuff that goes on in a game. 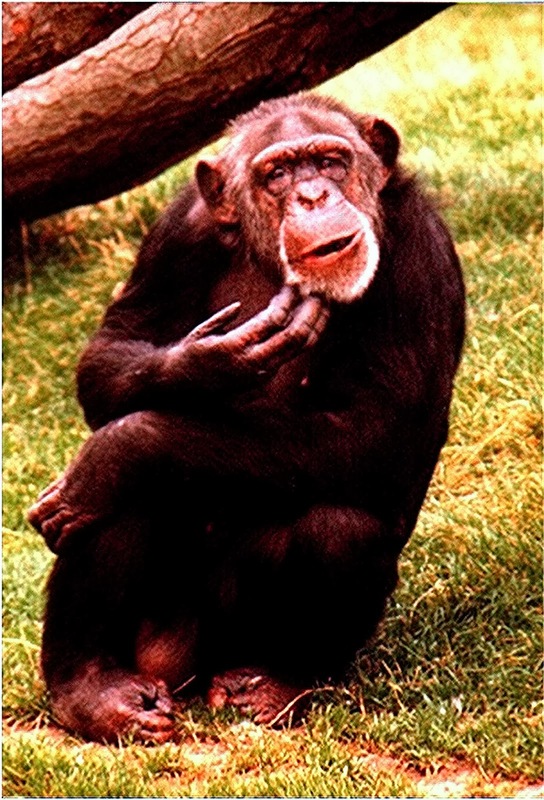 Monkey wrenches are like very stubborn mules; give them a carrot, and they will chase it right where it needs to go. For instance, say that your party has been transported to Golarion. The entire goal of the campaign is for players to try and get back home because of friends, loved ones, spouses, children, etc. However, let's say your resident monkey wrench decides that he really likes living in a world of magic and mayhem. Perhaps he decides he'd rather carve out a kingdom and live like a duke than go back to a 9-5 gig working retail. Or flip the circumstances around, and say that everyone else is gung-ho to become the next lords and ladies of the realm, but one character's entire focus is to get home to her children. It's your job to dope this out and to incorporate it into the game so that everyone can move forward. This is another reason why really powerful rails are a bad idea. Establish some general things you want to happen, and work out with your players the arcs they'd prefer to go through before the first session. Don't tell players what to do; lay out the options they have, and see which way they go. You will have far fewer headaches by simply setting up the world and the events in question than trying to force anyone to do anything. As always, thanks for dropping in! If you'd like to keep us going please drop a donation in the "Bribe the DM" box, or check us out on Patreon here. If you'd like to keep up to the minute on what's going on with your author and his blogs, drop by Facebook or Tumblr and follow me. Lastly, if you try out your own avatar game and you want to share how it went, Improved Initiative is always looking for gaming stories to share on our Table Talk feature. See you next time! This Moon Pope Monday we're paying respect (and disrespect) to one of the classics of the genre. This is one song that never appeared in any of Tolkien's work, but it's one that will get into your head and stay there. Big thanks to The Warp Zone on Youtube for creating this as well as more than a hundred other videos that will leave you rolling. As always, thanks for dropping by Improved Initiative! In case you don't know, we're now available for subscription on the Kindle; just sign up for two free weeks here. If you'd like to keep us going then please share our pages with your friends, hit the "Bribe the DM" button to make a one-time donation, or check us out on Patreon. All new pledges during the month of January will receive a free ebook, as well as the two complimentary stories that all pledges get as a thank you. Hope to see you later this week! Pathfinder. The World of Darkness. Call of Cthulhu. All Flesh Must be Eaten. These are the heavy-hitters every gamer has at least heard of, even if it isn't a particular player's game of choice. However, it's important to remember that while these might be some of the most popular games on the market, they are far from the only games available. For players looking for something a little bit different though, Improved Initiative is here to point you toward what might become your new favorite games. 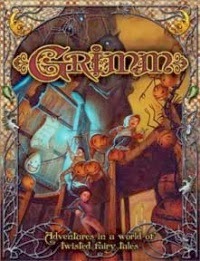 Originally released as part of the D20 Modern series, and re-released by Fantasy Flight Games with a stream-lined and simplified rule system, Grimm is a game of terrible tales and adolescent adventure. Players take on the roles of children (no younger than 9 and no older than 12) who have passed into the Grimm Lands; a place full of every monster and myth the brothers Grimm sentenced into their book of stories. They have to travel through the checkerboard kingdoms, seek out ancient items of power and try to find their way back home again. Grimm's major advantages, aside from the great flavor of the world and the novelty of playing children who can take things like "Bully" and "Dreamer" as classes, is that the system is simple and easy to both play and run. There's no XP to grant at the end of a session, there's no complex feat choices, and all of a character's abilities are very simple and straightforward. All players, and the storyteller, need are two six-sided dice and the base handbook. That makes Grimm a relatively cheap investment, in addition to being something that can almost literally be run at the drop of a hat. Lastly, and I feel this must be said, Grimm can be as dark or as cutesy as you want. If you want to have a Disney-fied game because players are a little younger, then that's perfectly possible. However, the game itself trends toward the dark and the traditional, with child-eating witches, murderous lunatics, and capricious magic that end up destroying sanity and warping flesh. Just because characters are children, that doesn't make this a children's game. 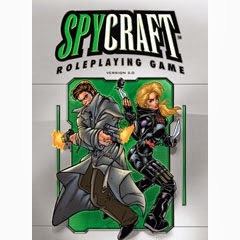 For players who want to get more use out of their dodecahedrons, Spycraft is a game that's gotten very little love over the years. Whether someone wants a full-on "Mission Impossible" style team, or they want to take their cues from shows like "Leverage", Spycraft is the ideal game for players who would like something a little more complicated than just kicking in the door and killing the monsters. What this game lacks in knights in shining armor it more than makes up for in the variety of roles and the sheer possibility of missions. Storytellers can run a Call of Cthulhu style game where government agents send in investigation teams to uncover and deal with extraterrestrial encounters and their associated cults of worshipers. On the other hand it's equally possible to run a Hong Kong action theater style game where a team of mercenaries goes toe-to-toe with a drug cartel in an exotic locale. The Cold War, World War II, Vietnam, nothing is off limits in Spycraft. The system is solid, and it makes a refreshing shift from monsters in dark alleys and riding through the woods to the next goblin raid. 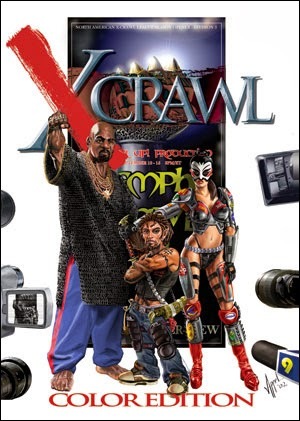 XCrawl did something that no other game had ever tried to do before; it combined the dungeon crawling aspects of traditional Dungeons and Dragons with the glamour and drama of professional wrestling. The result is a modern-fantasy-gladiatorial-death-match-reality-TV-show that runs of the base of any D20 system the storyteller prefers. In all fairness, XCrawl is less of a game and more of a skin. It can work with any edition of Dungeons and Dragons, but it can also be paired with D20 Modern, Pathfinder, or any of a number of other systems. If it involves a 20-sided die and all of its compatriots, then XCrawl can invigorate players' imaginations and present them with something so far outside their normal sphere of play that it gets their hearts pumping while it kicks their roleplaying up a notch. The game requires showmanship, number crunching, and a dose of off-the-cuff bravado, but if a party can put that together the results will be stories that get told for a long, long time. The last entry on this particular installation (I'm sure there will be others) is Pie Shop. For those of you who've seen Sweeney Todd, the title is a bit of a spoiler. You play a serial killer; that's it. There's no magic powers, no higher goal, you're just a group of deranged sociopaths looking to let a little blood and have a good time. Pie Shop is refreshing in its sheer brutality... but it has one fatal flaw (aside from not being able to find the book too terribly easily). That flaw is that getting a group of serial murderers to all work together, unless they have a shared psychosis, is really difficult. The very act of creating a plot can sometimes mean putting together a scenario so ridiculous that it undermines the realism of the game. 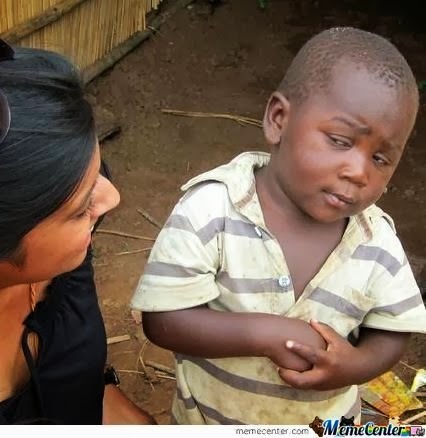 The government is capturing serial killers and using them as black ops agents? Sure! The mafia is recruiting dangerous, unpredictable mentally ill murderers as a special hit man squad? Eh, why not? On that note though, if a storyteller can get over the hump of finding the right premise, Pie Shop is a game unlike anything else out there. Once again, thanks for dropping by Improved Initiative! Keep in mind that we're now available on the Amazon Kindle, and you can subscribe to us here. If you'd like to support us then either leave a donation at the "Bribe the DM" button in your upper right hand corner, or pledge at our Patreon page here. Finally, keep up to date with our latest and greatest on Facebook or Tumblr, whichever you prefer. 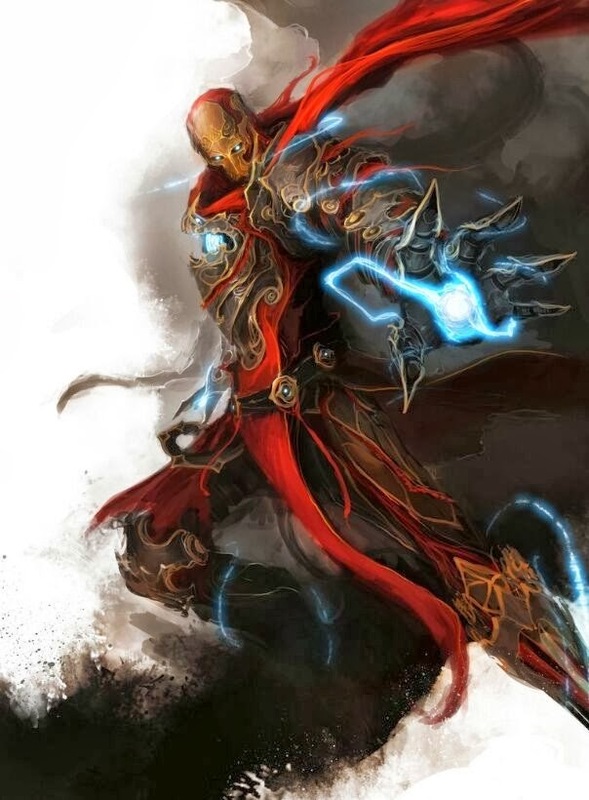 Is Moon Pope the Best Dungeon Master, or the Worst? The great and glorious Moon Pope returns on this, his day of days. Is there anything he won't allow? Well... no, not really. Thanks again for stopping by for more Moon Pope Monday. We hope to catch you next week at the same day, but hopefully a little bit earlier. To keep up with our regular posts feel free to follow us on Tumblr and Facebook. If you'd like to give Improved Initiative your support, then please tell your friends, tell your gaming table, and hit the "Bribe the DM" button in your top right corner. Before we get started with this week's Moon Pope Monday I'd like to remind all my viewers that we're currently having a giveaway. Simply go to our Patreon page here, and pledge $1 a month (or more, we won't stop you). In exchange you'll receive links to two free stories by Neal F. Litherland, but you'll also receive a free ebook! Just drop a line once you've pledge, and your free book will be in your inbox soon after. This video was created by Miracle of Sound, and if you're looking for even more great material by them just check out their page and follow here. As always, thanks for tuning into Improved Initiative where we try to make your Mondays just a little more bearable. For more from us and from our sister blog the Literary Mercenary drop in and follow us on Facebook and Tumblr. Hope to see you there! There comes a time in every gamer's career where he or she has an "ah ha" moment regarding the rules. What was once a collection of rough guidelines that were a little blurry around the edges finally snaps into clear focus, and you realize exactly what they are; building blocks. Once that realization is made, and you as a player realize how to fit them together in order to achieve the results you want, there's no unseeing it. This is a story about my first time experiencing that. The DM let you do what now?! Right, maybe I should begin at the beginning. I'd been a gamer for a few years, and I'd played Dungeons and Dragons 3.5 under a few different DMs. The problem was games just kept falling apart on me, and as such I'd never really been part of a full campaign before. I was invited to join a game run by a fellow named Jer, and he told me to bring whatever I wanted within the basic rules. 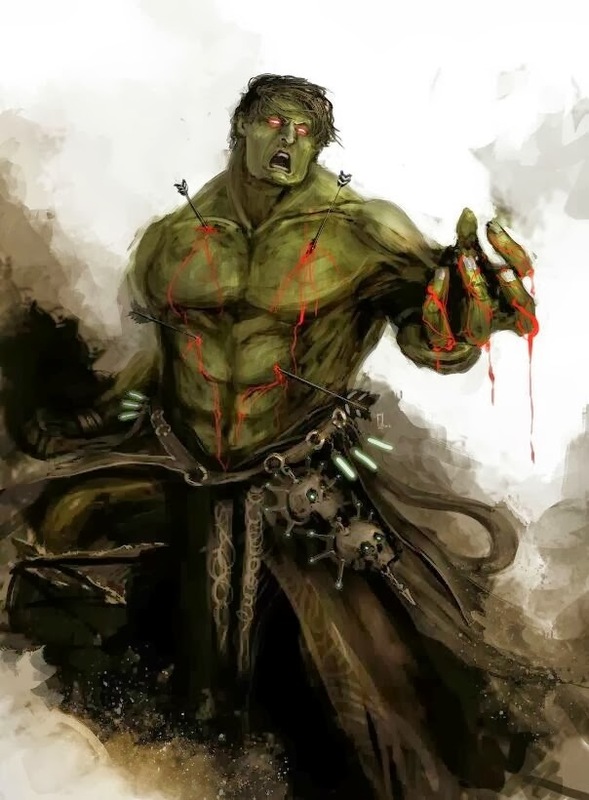 I told him I had this idea for a barbarian, and he warned me that if I chose to play that class there would be times where he might trigger my rage for story reasons. That little caveat juiced my brain and really got me rolling. The story I crafted was there was once a settlement in the north. This place was beset by the beasts and monsters of the frozen lands, from frost giants and gnolls to trolls and bugbears. When the forces arrayed against the town became too much, one clan of warriors made a deal with devil. They offered their souls to the spirits that dwelt on the peaks in exchange for the power to protect their friends and families. The spirits granted them the power to deny death, and to destroy their enemies with blood and fury. 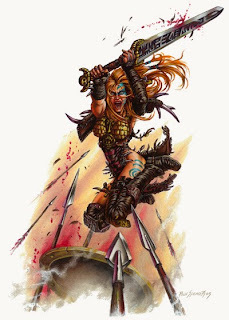 Heroes one day, the town began to fear the berserkers and the destruction they could wreck. Cast out, the clan became mercenaries who sold their swords to those desperate enough to pay for madness with coin. Generations passed, and over time some powerful warriors were allowed to marry into the clan. This was a rarity, as only those who could defeat their lovers in fury were given permission to wed. The curse always bred true though, and frenzy came sooner or later. The clan was hired to fight by a nobleman, and fight they did. To the last man, a teenage boy named Sigurd. Sigurd fought bravely, but the only person he killed that day was his own mother, the clan matriarch, whose frenzy gripped her and refused to let go even as she slew those nearest and dearest to her. Sigurd, fearing the madness he knew he was destined to grow into, traveled south where no one would know his name or the tale of his clan. He hoped that he might be able to escape the curse, but swordplay and bloodshed were the talents he'd been bred to, and adventure was what called his name. I came into the game a bit late, and as such I walked into the plot at level 8. 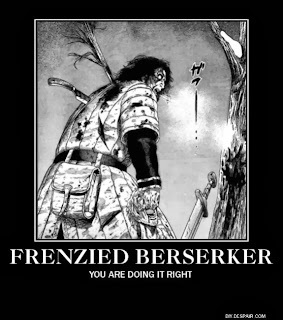 When I sat down to character creation I was handed a copy of Complete Warrior, and my eye fell on the Frenzied Berserker prestige class. Because I had a bad case of what I like to call shiny-red-ball syndrome, I thought that Deathless Frenzy was a really cool ability. The DM said I could take the class, but he reserved the right to nerf me if I got stupid with it. So I gave Sigurd a few levels of fighter, a few levels of barbarian, and then started him on his path to death and glory in the tradition of his forebears. From the point I walked in it was pretty standard high-fantasy stuff. Cults and evil orders are doing bad things, go and stop them. Along the way we just happen to pillage and loot pretty much every stronghold, gangland territory, and black knight's keep we can find. There are a few sentient items here, some really powerful sets of magical armor there, and by and large we're getting to be a pretty beefy bunch of adventurers. Before I knew it I had a character that was more powerful, and higher level, than anything I'd been trusted with up until that point. Nothing crazy yet, but the increased strength from stacking Frenzy with Rage was definitely making me feel pretty good about what I had going. I wasn't destroying entire encounters on my own like I had been at lower levels, but I figured that was normal. Like many players trying out a new character concept, I wanted to make sure I had my numbers straight. So before one session I was reviewing my newly gained abilities when I came across Supreme Power Attack. I hadn't really paid much attention to that ability, but I figured I should know what it did. Especially given that we were closing in on the end of the campaign, and I was lingering around level 20. The ability, in short, said that because I had a big, two-handed sword, I got a +4 for every -1 I took from my base attack bonus when using Power Attack instead of a +2. Not bad. I was busy patting myself on the back when a memory niggled at me. So I did some double checking and researched a few of the feats I'd taken. Leap Attack, which multiplied your power attack damage by 3 with a two handed weapon if you made a successful leap during a charge made my eyes go wide. After that was Combat Brute and Shock Trooper, which gave me the ability to follow through with my power attack on the second round after a charge, and which allowed me to take the negative from my armor class rather than from my base attack bonus respectively. All at once I realized that, without even meaning to, I had created a monster. I conferred with the DM, and he agreed that the feats worked the way I thought they did. He didn't appear worried though. Not right then, anyway. So, everyone settles in, we recap from the last game and get rolling. The party is assaulting a huge castle through a basement filled with clockwork golems. Jer, because he was confident in us, beefed up the baddies just to give us a challenge. By a miracle I rolled well on initiative, so I dropped Rage, Frenzy, and charged. In a single blow I dealt enough power attack damage to destroy one of the two big bads utterly. I rolled just because I felt like it, scattering clockwork and scrap metal the length of the field. The rest of the party, confidence boosted, attack the second golem. It tears them a new one, until round two when it also falls to Sigurd's obscenely over-muscled attack. Then, before I get another turn, most of the party dog-piles on the berserker and the cleric pokes Sigurd in the forehead to give him a huge will save bonus so he comes out of his frenzy. Bad guys dead, party victorious, barbarian thoroughly tweaked. That pretty much set the tone for the rest of the adventure. Our DM kept throwing bigger and bigger bad things at us, and I just kept knocking them down. If I couldn't do it in one hit, then the enemy wasn't likely to live through a second. I had to sit out the last battle sadly, I was out of town at the time it happened, but I will forever remember that moment where a cool story and a pile of feats came together, creating a concept that was significantly more than the sum of his parts. Got a cool gaming story of your own? 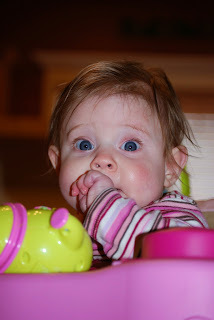 Tell us about it, and we just might feature you on Table Talk! As always, thanks for stopping by Improved Initiative. Help support us by bribing the DM in your upper right hand corner, or checking us out on our Patreon page (which now uses PayPal!). To stay up to the minute with our updates, follow Facebook or Tumblr. Hope to see you again soon!